Joyce A. Julian | Joyce A. Julian, P.A. Joyce Julian has been working in Florida courtrooms as a judge, magistrate, and attorney for over 30 years, serving the people of Fort Lauderdale and surrounding Florida communities in and around Broward County. Joyce earned her law degree from the Shepard Broad Law Center at Nova Southeastern University and also obtained a Master’s Degree in Forensic Accounting. Joyce was honored to serve as both a Magistrate Hearing Officer for 10 years (including 8 years as the Chief General Magistrate for the Seventeenth Judicial Circuit), and as a Broward County Circuit Court judge for 6 years. In her time serving as a judge on the Broward County Circuit Court, Joyce served in both the Family and Criminal Courts, where she presided over thousands of cases involving divorce, custody, adoption, and criminal prosecutions. Joyce’s background as a forensic accountant gives her the special skills to help her clients across many of the above practice areas. Divorce law often involves difficult-to-find assets as well as complicated questions of valuation and ownership, and Joyce will put her years of forensic accounting experience to work for you in ensuring you get the financial results that you deserve. 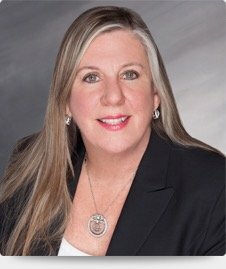 Likewise, many white collar criminal cases depend on understanding complicated financial instruments and information which may go beyond the understanding of a typical lawyer or prosecutor, but Joyce’s mastery of accounting procedures and skills will give you the edge in fighting your criminal case. As a former judge and magistrate, Joyce understands the intricacies of the local Broward County courts, and she will be able to put your best case forward in front of a judge and jury if need be. She has the vast courtroom experience, attention to detail, and concern for her clients that you want when facing a family law or criminal law matter. Call Joyce today at 954-467-6656 for a free consultation.